A home is, for most people, the biggest investment a person will make in their lifetime, so ensuring that it is correctly protected against damage is of vital importance. However, with home insurance prices so high, many people are struggling to see the benefit, choosing instead to pay for minor damages and repairs out of their own money. Although this is a common circumstance, paying a lower premium may be impractical if a person needs to make a claim on a grand scale. Ideally, the coverage should amount to the amount of money owed on a mortgage, at least. Otherwise, if the house were to be destroyed, either by fire or because of a natural disaster, the homeowner would be required to pay the remaining balance on the loan after the amount insured is applied. Any additional hazard and liability cover will affect the policy price, however, in most cases it is worth the extra investment. It is important to carefully consider the risks or threats that apply to the area where the property is situated. Depending on the region, some policies will automatically include flood and hurricane cover, whilst others will offer this as an option. Additionally, theft and liability coverage can vary in price. It is strongly advisable to shop around before making a decision on a policy. Many insurance companies will provide a substantial discount to existing customers who have taken out a different policy with them. This can be up to 15%. For instance, if an individual has taken out a car insurance policy with a particular provider, combining the two (car and home) with the same company will see them rewarded for their loyalty. In addition to this, retirees and students are frequently offered discounts with the majority of providers. Due to the fact that many households, even those who are covered, choose to deal with minor damages independently (to save on inconvenient admin time and the lengthy process of a claim), many are paying high premiums for a low cover. If deductibles are raised, monthly payments go down, meaning homes are still covered for extreme and costly disasters and families are financially protected whilst making smaller, more affordable payments. A recent survey showed that increasing the deductible to $4000 from $2000 on their policy can reduce premiums, saving on average $200 a year. 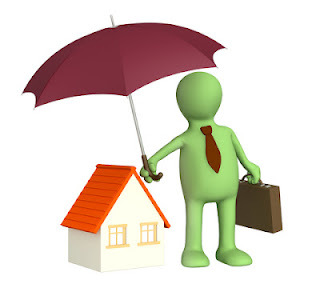 Shopping around before deciding which home insurance to commit to is strongly recommended, along with browsing other policy prices every two years to ensure the best deal is obtained.